There are two kinds of coffee drinkers in the world. The kind that loves making their own coffee, and the other type that loathes making coffee, but loves drinking it when someone else makes it. If you fall into the former category, then it would be a choice decision to purchase a good coffee machine. Coffee machine sales have been booming the past couple of years. Not only are there more coffee drinkers, the very fact that coffee machines are affordable makes it even easier for domestic coffee connoisseurs to purchase one. Whether you plan on buying a new coffee machine to feed your coffee needs, or you are looking to purchase a new machine to fulfill your expanding coffee taste, a few handy tips are required so you know what to buy and how much you expect to pay. First thing for any coffee machine is the location or the space that it’ll take up in your kitchen or pantry. The size and weight depend entirely on whether you plan on keeping it put away after you are done, or if you prefer keeping it displayed. If the option is to stow it away, then look for something light. And if you prefer a heavier model, check to see if you can carry it, or if they provide delivery service. Capacity is determined by how often you would use the machine and for how many people. If you are planning on making a large number of espressos, then you need a water tank capacity that fills more than 10 cups. If you are looking at a machine for a smaller group of people, and for 2 to 4 cups of coffee per day, then choose a machine that comes with a singular spout that fills one cup per time. Brands play an important role in the coffee machine. Coffee machines are considered a luxury product. Hence, premium brands like Dualit, DeLonghi, KitchenAid and Cuisinart offer machines in various price ranges and for various needs. There are also supermarket brands, such as the popular Nespresso, that offer low to mid-range coffee machines that suit the lifestyle of families. Anywhere you go, and whichever brand you look at, you would be spoilt for choice when it comes to the designs available. Most machines come in silvery stainless steel, but you can also find ones that are in red, blue, green, and gold finishes. The latest coffee machines also come with a toaster or have kettles. 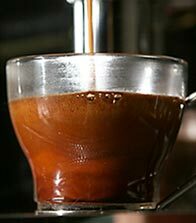 Making coffee using a machine can be a daunting task, especially in getting the right water-to-coffee-ground ratio. Your friendly neighborhood barista might make it look easy, but, for the untrained coffee lover, figuring out how to use the various buttons and levers can be a headache. One key element in purchasing a coffee machine is to see how easy it is to use. If you find it easy to use, then buy it. Your morning java-making routine shouldn’t be taking an hour. The least you should be spending grinding and brewing is 3 minutes, tops. A good machine takes 15 seconds or less to fill a cup and stop dripping, whereas lower quality machines take up to 30 seconds. You won’t know how long your machine takes unless you try it out. So, before you purchase one, read the many coffee maker reviews available online. When buying your coffee machine, check to see what accessories come with it. Things like coffee grinders and milk frothers are important accessories to have. But, try your luck to see if you can get matching coffee spoons, cups, and pods, because all of these enhance your coffee making and drinking experience. Drip trays are important as they help minimize whatever mess that may happen when brewing your coffee. These also make the coffee making experience much faster, as you don’t have to clean up. Check to see if your drip tray is easy to lift and remove. Apart from the drip tray, easily removing and cleaning the portafilter plays an integral element when choosing your coffee maker. The portafilter is the part that holds the filter that you place your ground coffee in. If this is easy for you to do, then purchase a machine that requires a filter. However, if you find this difficult or time consuming, then getting a capsule machine is best.